Just west of the New Town, Edinburgh’s West End is known for its well-loved pubs and bars, independent boutiques and village-y feel - right in the heart of town, just behind Shandwick Place. And it’s a popular place for local folk as well as visitors. 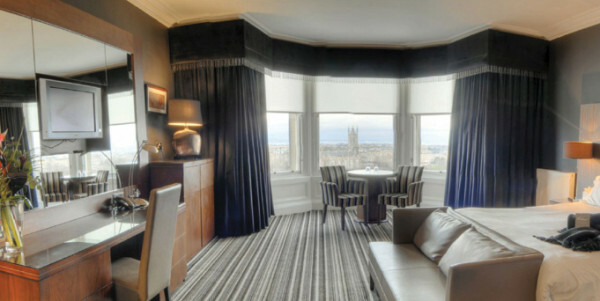 So the best hotels in Edinburgh’s West End tend to have buzzy bars and restaurants as well as a great, central location. 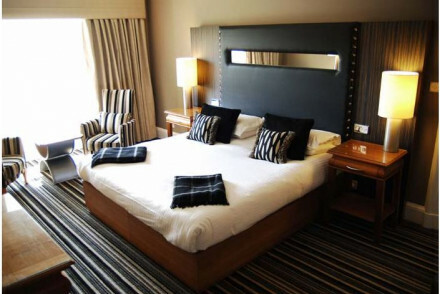 If you’ve planned anything arts related for your stay the West End might be most convenient for you, many of Edinburgh’s music, arts and theatre venues can be found on its cobbled streets and rather grander Georgian terraces. The West End also hosts a number of arts festivals and crafts fairs. Most of the West End looks and feels a bit bohemian, but some of its main landmarks are anything but. 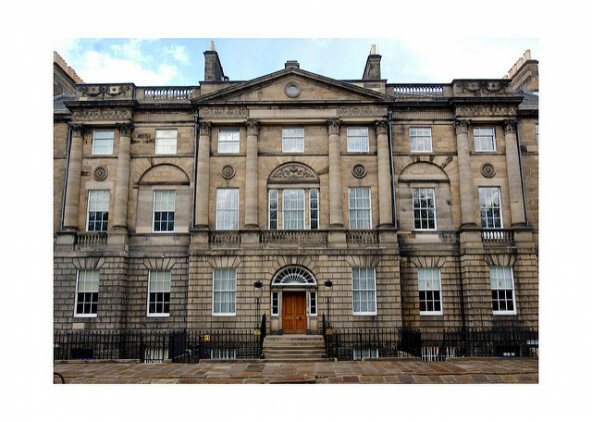 The red sandstone of The Caledonian railway hotel is perfectly elegant, and on grand Charlotte Square you can visit The Georgian House, which has been restored to its late 18th Century glory. Next door is Bute House, another grand Georgian facade, and the official residence of Scotland’s First Minister. If you travel further west, out of the city proper you’ll pass the Murrayfield Stadium - much loved by fans of Scottish rugby, and Edinburgh Zoo. 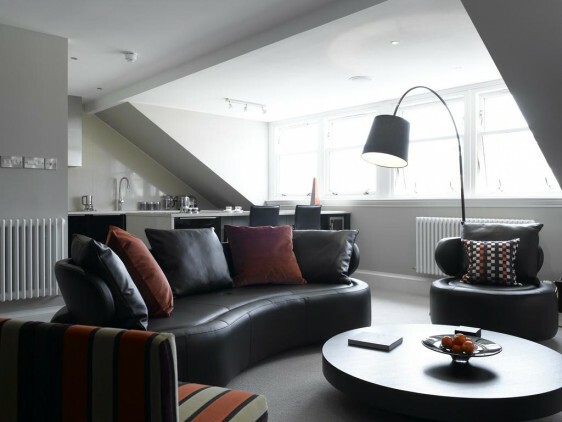 The Dunstane Houses is a chic property in a peaceful corner of Edinburgh's West End. Recently renovated it boasts chic rooms and suites (some with in room copper tubs) and an excellent restaurant and whisky bar. 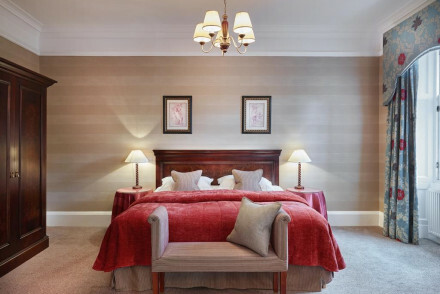 The Atholl is a spectacular, four room hotel with beautiful classical contemporary suites and superb service. The bathrooms are by Philippe Stark, the food by Albert Roux trained chefs and nothing is too much trouble. 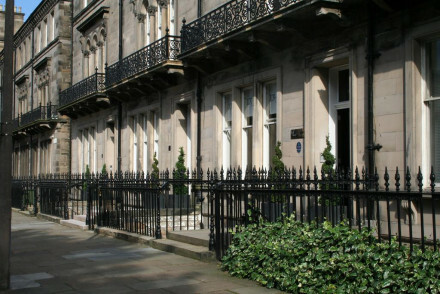 The Chester Residence is a cosy collection of 19 rooms and suites on a quiet street in Edinburgh’s West End. They’ve a resident family of soft toys to please their youngest guests. 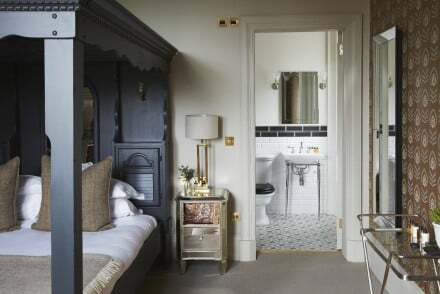 The Edinburgh Residence is a baronial West End townhouse with 29 bedrooms and a clubby feel - the vibe is house guest at a Scottish laird’s pied-a-terre. And you’re just ten minute's walk from the castle and the Royal Mile. Rooms start from around £100 per night. 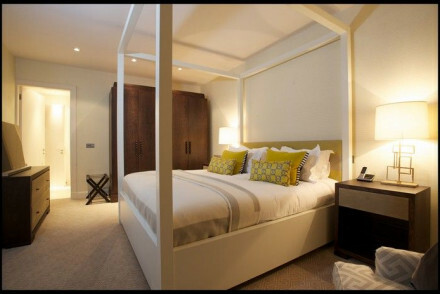 For a similar room rate you could stay at the Bonham, a large townhouse with contemporary decor and 48 individually styled rooms - expect bold colours and plush fabrics. There’s also an acclaimed restaurant. 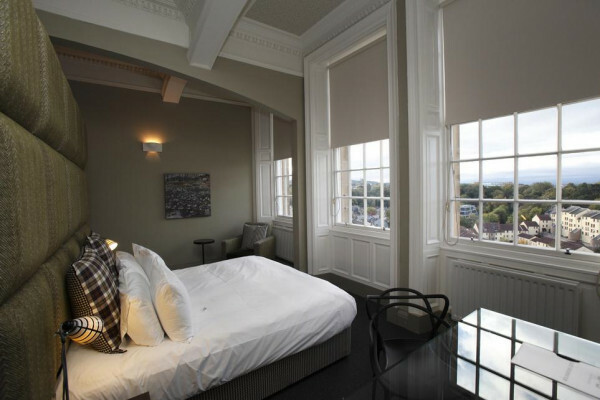 Browse through our list of all the best places to stay in Edinburgh? Or consider our Guru’s collection of the Best Hotels in Edinburgh’s New Town?